Interview Question: Do you have anything in closing? Q: Do you have anything in closing? This is the last chance to impress the interviewer. No time to retake the NASM test and shove a better score in their face. If you have waited until now to do it then you are in trouble. You must remain humble and thankful. Refrain from asking questions. Your answer should be 1-2 minutes in length. This is a chance to show you are passionate and articulate. Avoid begging or saying things like, “just give me a chance and I will be a great employee” that just makes you look desperate. Remember to speak with confidence and make eye contact as you close. When finished speaking wait to be excused, rise and shake hands and personally them for their time and consideration. Another piece of advice I can give you here is to not speak to other candidates about the process. Also, do not say anything negative as you are leaving the premises. You never know who is listening to you and things you say may make it back to the panel and could disqualify you. I would just like to thank each of you for the opportunity to compete for this position. This opportunity is very humbling and I must say that I am extremely honored to be considered. If accepted I will in turn honor you and this profession by diligently learning all of your policies and procedures and I will meld into your culture with an attitude of gratitude. I am very excited to move forward with the gym. Thank You. Interview Question: How do you deal with stress? Q: How do you deal with stress? I would add that there are studies out there that point to the negative effects of an excess of abdominal fat on the heart. It appears that our job could be killing us. 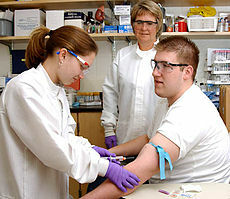 That is, our job is killing us if we fail to understand the things we can do to lower the risk factors of heart attack. Our job is killing us if we fail to understand ways to counteract the effects of Cortisol in our systems. The candidate needs to have a plan to reduce the risk factors of heart attack and lesson the negative effects of Cortisol to ensure that they will have a long healthy career. Thank you. It is no surprise that this is a stressful profession. Stress is a part of life and we all manifest it in our own ways. One thing is common however and that is that stress has negative effects on our bodies and in particular our hearts. 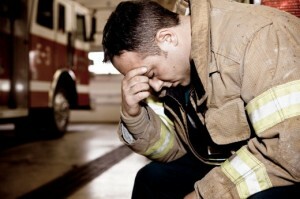 What I find interesting is that the number one killer of firefighters each and every year is heart attack. Also recent research is showing that firefighters have chronic high levels of Cortisol in their blood streams due to the nature of their jobs. Cortisol has many damaging effects to the body but in particular it increases the amount of belly fat that we accumulate. This is an ominous finding because an increase in belly fat has shown to increase the risk of heart attack. I have made it my mission to live a heart healthy life style. That means I exercise on a regular basis. I have a heart healthy diet except for an occasional Little Debbie snack, dang those things are addicting. I also have a great support group of friends and family that I can talk to if things are bothering me. If I do all these things they should add up to a long, healthy, and rewarding career. Thank you. 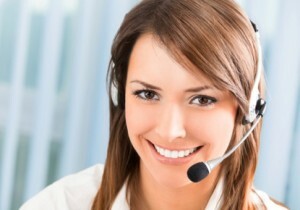 Interview Question: What Does Customer Service Mean to You? Q: What does customer service mean to you? Customer service is certainly not a new concept to the pharmacy technician community. If you have ever worked retail in your life you probably had this concept beat into your head. Have you ever heard that the customer is always right? I am sure you have. This concept has been co-opted by the ptcb and pharmacy tech industry as well. It makes some sense however it is not a perfect fit. You need to understand that the interviewer wants to hear how you will treat those in the community. Mention the fact that you serve the public by continuing to educate yourself so that you can do a better job. You could talk about how service to you is treating the public like I expect to be treated. So in every way the relationship we have with the public is much more important than that of a customer and a business. Passing a ptcb practice test shows you have the knowledge, but customer service is a skill that you cannot teach. Customer service is treating others like you would like to be treated. It is used in the business world to remind employees that if you don’t provide excellent customer service people will take their business elsewhere. This concept translates to the pharmacy technician industry well. Our communities trust us to handle their medication and take care of them in their time of greatest need. So to me customer service is an attitude of public service that I take on as my life’s work. It is a personal oath I take to be trustworthy, educated and to treat members of my community the way I would treat my own family. Interview Question: What is more important, Fire or EMS? 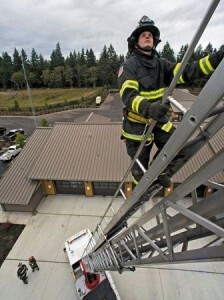 Q: What is more important, a firefighter or an EMT? A candidate that I recently mentored was asked this question and was blindsided by it. It is a question that can bring to the surface any bias you may have and quickly sink you. 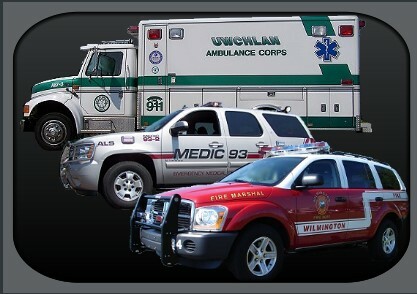 To answer this question you need to know a little about how a city funds fire and how EMS raises funds. Also, you must show that you have some empathy for the person who called 911. Here is how it works. First, of all, in a city a tax base pays for fire services for the most part. So when you call 911 for a water leak and an engine company comes out to shut your water off and salvage your furniture we do not send a bill for our service. You already paid when you paid your taxes. EMTs and Paramedics, who study using EMT-B Practice Test and Paramedic Practice Test and working through EMS is a different story. An ambulance is a for profit enterprise. Your taxes do not provide you ambulance service. If you call 911 for an ambulance you will receive a bill for service. So cities are obligated to provide fire protection and that is their priority. Now the taxpayer does not usually understand this fact. All the taxpayer knows is that when they call 911 they want help. To the taxpayer fire and EMS are equally important and you need to remember this fact. Whatever you are called for is a crisis to whoever called, period. Remember that you are a public servant and have pledged to serve no matter what the situation. This fact dictates that you show impartiality when it comes to how you serve no matter if it is fire or EMS. That depends on your perspective. To the city fire services are the priority because they receive taxes to support the service. Services provided by EMTs and Paramedics through EMS are usually not supported by a tax base and are usually a bill for service situation. Therefore, the city or district is obligated to provide fire protection. Now, to the person calling 911 there is no distinction. When someone calls 911 all they know is that they have a crisis and they need help. The day they call 911 is their worst day. So to the taxpayer, fire and EMS are equally important. In that fact lays the answer. As a member of your organization I am a public servant. I have pledged to serve the public on their worst day with empathy, skill, and impartiality. It is my honor to do so I might add. Therefore, as far as I am concerned, there is no distinction. In closing I would just say that it is my honor to serve the public in whatever capacity the situation dictates. Interview Question: How do you handle difficulty in the pharmacy? Q: How do you deal with conflict? 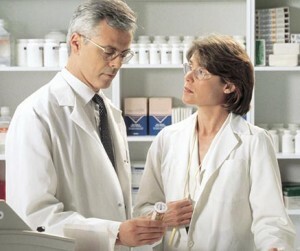 Have you successfully worked with a difficult person in a pharmacy setting? The strategy here is to let the interviewer know that in conflict there are things you can control and things that you cannot, especially in a pharmacy setting. One thing you can control in conflicts is your emotions. In essence you can exercise self-control. Trying to control someone else’s feelings is a losing battle and not one you should entertain. I would add here that it is incumbent upon you to control yourself. That is an act of maturity. Another thing you can control is the framework that you operate within on a daily basis. What I am saying here is what rules do you live by that will influence how you will deal with conflict when it arises. I have personally made three rules that I live by and I present those to the panel. My rules are don’t think more highly of yourself than you should, treat other pharmacy technicians like you want to be treated, and refuse to be offended. Let the interviewer know that when you choose to control yourself and live by your three rules, 90% of conflict goes away. However, that leaves 10% of the time that you will need to find a solution to a conflict. 10% of the times you will need to rely on good communication to resolve the conflict. It is key to mention that you will try to handle the matter at the lowest level possible within the chain of command. Another thing I have done over the years that has served me well is to always critique in private but praise in public. First, let me say that conflict has more to do with me as a pharmacy technician than anything else. When a conflict of any kind arises I have to make some choices. I realize that I can only control my emotions and myself and to try and control someone else’s emotions is a losing battle. So I choose to control my emotions and myself first. I live by three rules. First, I don’t think more highly of myself than I ought to. Second, I treat other pharmacy techs like I would like to be treated. Finally I refuse to be offended. I have found that if I choose to control myself and live by my rules 90% of conflict will resolve. Now that leaves 10% of the time I am going to have to deal with conflicts. The key here is communication. If at all possible with dialogue I am hoping to resolve the conflict at the lowest level between myself and the other party. If this is not an option I will utilize my chain of command and bring the matter to the next person in the chain for mediation. Again, conflict is 90% about my attitude and my emotions. If I continue to realize this and live by my rules conflict should be rare. Q: You are on the fire ground and your Lieutenant sends you to the engine to get an axe. While at the engine a chief officer approaches you and orders you to pull a hose line to the back of the house. What will you do? This is basically a conflict question, however, it will put to the test your knowledge of the fire service and how we operate on the fire ground. If you have been around the fire service for any amount of time you know the importance of accountability. Most departments have some sort of accountability system in place at a fire scene. I advise candidates to tackle the question with this in mind. Also, keep in mind that fire scenes can be chaotic. The panel is also trying to see if you act insubordinate with the chief officer. I believe there is a tactful way to handle this situation and it all comes down to communication. Well I must say that this is an uncomfortable position to be in as a new firefighter. First, let me say that I understand that a fire scene can be very chaotic and lots of things are happening quickly and need to get done ASAP. I imagine that this scenario is not unusual. The key here is to remember that we have accountability systems in place and accountability is paramount. With that being said I do not want to be insubordinate with my chief officer. I would simply tell the chief officer that I was sent to get an axe by my lieutenant and he/she is expecting that I bring it back soon. This statement should clue in the chief officer that I am trying to maintain accountability. This may not work and if it doesn’t I will use my portable radio to radio my lieutenant and tell them I have been reassigned by command. I will inform my Lieutenant that after I pull a hose line to the back of the house I will be in with the axe. Again this scenario is all about communication. Interview Question: Firefighter situation and how do you respond? Q: You are on a fire scene conducting overhaul operations when you see your partner pick up a wallet out of the rubble and put it in his pocket. What will you do now? This is a very targeted question. They could have just asked “What would you do if you saw someone cheating on the civil service exam,” but they want to see how you react to a more ambiguous field situation. The panel is looking for a few things when asking this question. They are trying to determine how you will react when you think you see something that is nefarious in nature. On the surface the question is probing you on how you will handle a situation when you see something happen that is illegal. However this is a chance to give the panel some insight into how you view people in general. Do you generally think the worst or best in people. This is going deeper into the question and giving the panel a better understanding of who you are. The key here is to not assume that your partner is stealing because you realize that this department vets all its candidates thoroughly and they hire the best of the best. Your approach should be to let your partner know that you saw them take the wallet but do it in a tactful, non-accusing way. This will give your partner the option to do the right thing and it allows you to think the best of your partner. Finally, you need to tell the panel that if your partner does not do the right thing and steals the wallet, you will utilize your chain of command and turn your partner in. The panel will not be able to write fast enough and score you high on this answer. You have taken this question up a level. First of all, this is an awkward situation and I have to handle this sensitively. I would approach my partner and say, “wow good find”. “The homeowner will be very happy when they get their wallet back”. Can I be there when you return it I want to see the look on their face”. “The Chief will be proud that you went above and beyond on this one”. Now I present it this way because I see the good in people and I do not assume that my partner is stealing the wallet. I further understand this department has put all personnel through vigorous background checks and you hire the best of the best, so I have no reason to assume my partner would have such low character. However, I have to leave open the option that my partner is up to no good so I let them know that I saw them take the wallet but I do it in a non-accusing fashion. My partner now knows that I saw him take the wallet and I will be telling the chief about the incident. I have given my partner every opportunity to do the right thing. If they choose to do the wrong thing then I will utilize my chain of command to report the incident. 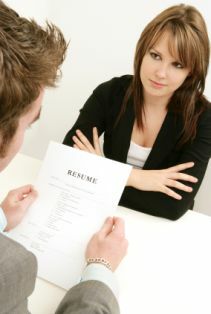 Interview Prep: What makes you better than other candidates? Q: What makes you better than the other candidates? Simple. Be HUMBLE!!!! Did I say that loud enough? If you decided to go the arrogant route you will not be getting a job offer. Nobody likes someone who thinks that they are better than everybody else. Let’s face it you are not qualified to comment on the other candidates. Don’t go on a rant about how you killed the phlebotomy exam on your first try and are smarter than everyone else. You really have no idea what the other candidates have done to prepare for this position. You are qualified to tell the panel why you would be a good choice. The panel is first looking for your humility and what character traits and skills you posses that make you a good fit for their organization. This is a good place to use one or two of the strengths from the list you have in your mind. You can also mention facts that apply such as, I have lived in this community my entire life and I know the culture well. Mention your education and experience but do not speak on this too long because you probably have already talked about this in other questions. I am really not qualified to speak on the qualities of the other candidates. I am sure that all the candidates have worked hard to get here today. What I can tell you is that I am excited to convey why I am a good choice and fit for your organization. I am sure I have very similar educational experience as the other candidates. I completed my Fire Science degree in the spring of 2008 and from there went right into Paramedic school. I received my Paramedic in the spring of 2009. (Add in here any other education you have). 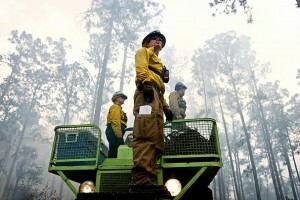 I have been a volunteer firefighter since the summer of 2007 and in that time I have been an active volunteer. I have attended many drills and several firefighter conferences throughout the state. In my time as a volunteer I have sought out and picked the brains of many of the senior people in the organization and that has been invaluable to me. I have been a member of this community my entire life and I am very familiar with the culture. Where I am hoping to distinguish myself is in my character. I am a humble person who will show up each day with my mouth shut and my ears open. I am diligent and will pursue my studies with passion. I posses perspective and will not forget that I am privileged to be part of this organization. I am honest and you can trust that I will do the right thing when I am in the public eye or not. Finally, I am generous and am always available to support my fire department family. 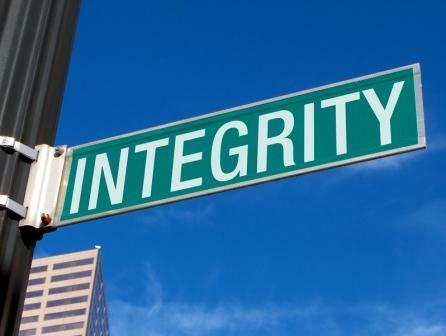 Interview Question: How do you define integrity? You need to make this question your own. Everyone has a set of values that guide their behavior, so it is necessary that you know what those are going into your interview. You need to know what your core values are so take some time to write some down and think on them before your interview. I like to talk about how I have a set of core values that I live by each and every day. 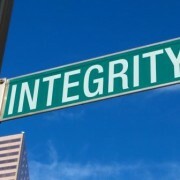 To have integrity you need to live by your core values on a consistent basis. One thing you need to know is that some fire departments have a set of core values and most have a mission statement. This is an example of how and organization can exercise integrity. It is important to note that a set of core values at an organization is a set of values that everyone can agree upon and rally behind. Make sure you research your department and know the core values and the mission statement. It is important to note that the public is very trusting of us. They let us walk into their homes without any hesitation. We must always be mindful of our responsibility to have the highest integrity. We must never betray the public’s trust. 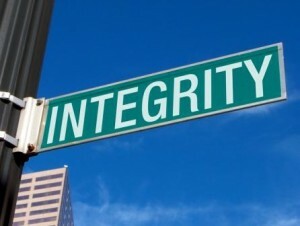 Integrity is having a set of core values that you live by on a consistent, daily basis. I have a set of values that remind me to stay humble, treat others like I want to be treated, and I refuse to be offended. I try to consistently model this and it is part of who I am. I understand that your department also has a set of core values. This is exceptional because it is a set of values that the entire organization can agree upon and rally behind. The core values remind us of whom we are in this organization. They remind me of how I need to conduct myself when walking into the homes of a trusting public or into a local business to conduct a fire inspection. If selected to become part of your organization I will continue to live a life of integrity on and off duty. Thank you. 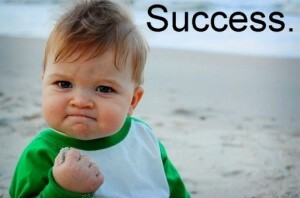 Interview Question: How do you define success? This question can be a trap. You must not come across as arrogant. Avoid statements like, “I usually succeed in everything that I do”. Or “I passed the massage practice test on my first try.” Stay away from saying things like, “Failure is not an option for me”. You need to understand that there are different types of success. You have personal success and you have organizational success. The important thing to remember is that both types of success take support players to make it successful. I inform the panel that personal success is fulfilling however with organizational success you find a greater fulfillment because it takes a team to pull it off. I mention that success to me is how well I am influencing others toward greatness. This attitude is invaluable in an organization such as a fire department. Your attitude can infect the organization and lead the entire organization higher. 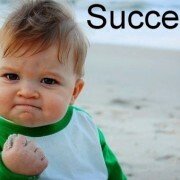 To me success is an attitude. Let me explain. The way I see it there are two types of success, personal success and organizational success. Personal success indicates that I do it by myself whereas organizational success takes a team. The truth is that rarely do we succeed at anything by ourselves. Personally I have had the greatest fulfillment when I have worked with a team toward a common goal. This is really what organizational success is all about. When I say that success is an attitude I mean that I understand what my role is in the fire department organization. My attitude says that I can find success when I am influencing those in my sphere of influence positively. If I am influencing those around me in the organization positively, in turn they will influence those in their spheres. This attitude of success can infect an entire organization. The important thing to remember here is that even as a new hire it is my responsibility to be a positive influence on my sphere even if that is just my immediate crew or other new hires. I pledge to do this.